Download Balloon Paradise APK File Ready to start matching and popping some balloons? 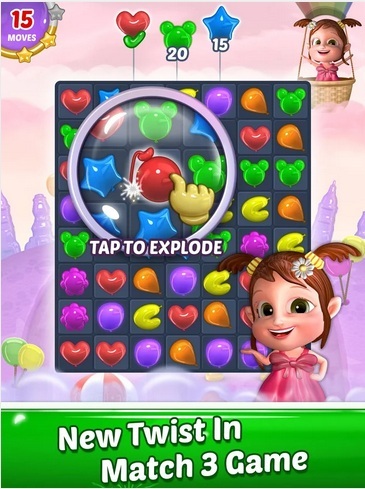 Balloon Paradise is a colorful and exciting match 3 puzzle game that takes place in a world high above the clouds! Swap and match shiny balloons and unleash fantabulous power-ups as you work to save the sky city of Floatopia.